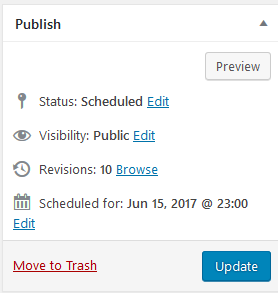 I'm going to list and discuss 6 steps you should take when you update your old quality posts. You want to maintain the the same original url for the post. Any search engine rankings that your old post has achieved would be endangered if you just published a brand new post with updated information. It is true you could set up a 301 redirect, but below are steps where that won't be necessary. 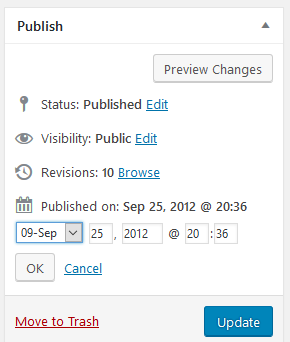 From the right column of your WordPress administrative panel you will see a similar image as above. Simply, change the month, day, year, and time of publication and click "OK". CAUTION: In order to keep the existing url and not lose your SE rankings you must keep the new publication time to under 24 hours from the time you click the "edit" link. To be safe I just set the new time of publication for an hour or less in the future. 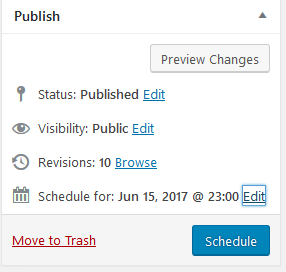 Once you set the new publication time don't forget to click the "Schedule" link or the new post won't publish. OK. The above is what the right column looks after you have completed the simple steps. Your authority status will improve as you update old posts with new powerful strategies and resources. Innovation is moving at a frantic pace on the Internet so your keeping track of new developments is a crucial asset to your readers. 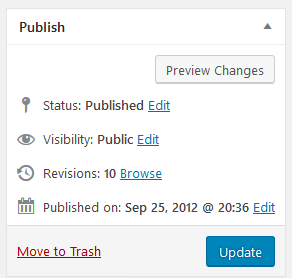 Updating your old posts in the manner suggested above means that your RSS feeds will automatically update as well. Not only will you maintain existing SE rankings with these updates, you should also include selected long tail keywords to improve your SEO. If there is any significant time lapse between the original blog post and the update, for sure there will be new, quality social media sites that have emerged in the interim. This is the dreaded image of what your next post may look like after a multitude of thought. We have all been there where our creative juices dry up and we can't come up with interesting new content. This is where updating old quality content comes to the rescue!! Follow the proven formula: 20% of time spent on creation. 80% of time spent on promotion! 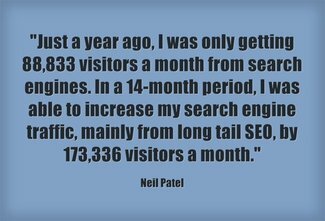 The above testimony from Neil Patel, blog traffic guru, means that his blog traffic increased from 88,833 visitors per month to 262,169 visitors per month. In other words he almost tripled his blog’s monthly traffic. His first step was to use Google Analytics to determine what long tail keywords were bringing significant traffic to his blog. Then, Neil describes exactly how he uses Google Suggest with his newly compiled list to greatly expand the supply of log tail keywords. 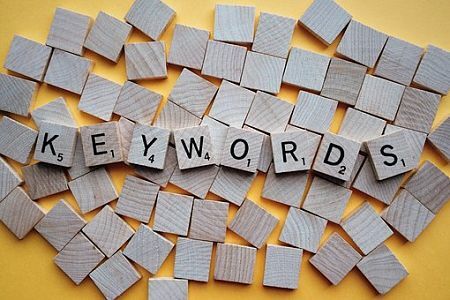 Then it is a simple process to optimize his existing blog posts for the new relevant long tail keywords. By the way, when you optimize your blog posts, be sure to include adding the appropriate tags. 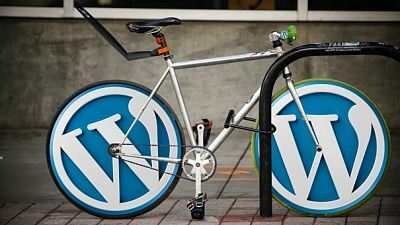 Growing your blog’s traffic should have great benefits in your making money online. And Not Making Enough Money Online? 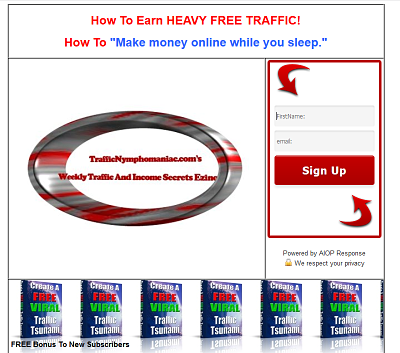 Are You Sick Of Not Enough Traffic And Not Making Enough Money Online? And Make Money Online But. . . . I just bought an extremely valuable tool and thought about keeping it strictly to myself. But, I'm going to let the cat out of the bag. 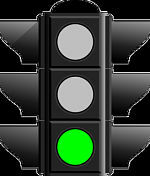 Here is a secret traffic tool and a plan to put it into use. The goal of the plan is to put up Web or blog pages targeted at specific long tail keywords. You want to make an average of $10 (US) per day from each page. Before you start laughing derisively let me complete the plan by saying your objective is to build at least 100 of these pages. $10 X 100 = $1,000 per day! No Longer Be Kept Secret, So. . . . 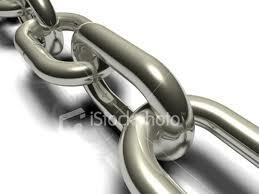 This Powerful Backlinks Report Could No Longer Be Kept Secret, So. . . I just made one of the best investments I've ever made. I took advantage of a WSO at the Warrior Forum and bought a report called, The Ultimate Backlinks Report, from SEO guru, Adam Roy. I should put more emphasis on the unlimited supply, because this report reveals a method that you can have up and running in 30 minutes that will provide limitless backlinks with high page rank and you can focus, if you choose, on those backlinks with dofollow attributes. You can use the powerful knowledge in this report for list building or affiliate marketing. The use that has me most fired up is to use the backlinks with long tail keyword to drive traffic to cpa offers (cost per action). Such an emphasis could be astonishingly profitable, because you could apply it to millions of long tail keywords. When you get multiple first page rankings in Google from following this report's strategy, be sure to come back and leave a comment. 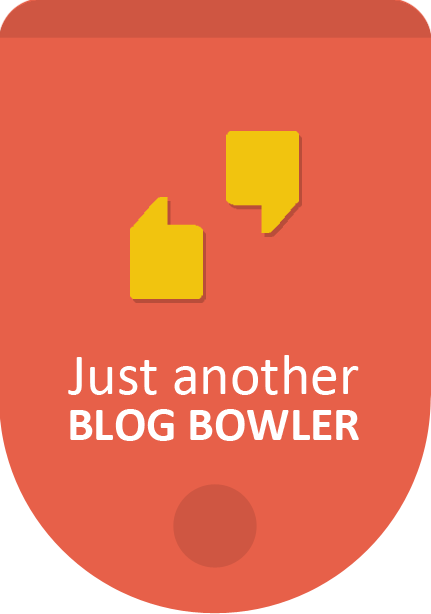 Consumer Notice: This is an affiliate ad supported blog. That means if you buy something from a link or ad on this site, or based on my recommendation, either expressed or implied, I may get paid an affiliate commission. That's how I pay the bills. This is the century of multiple sources of income. Forget that obsolute job nonsense. If you are at all familiar with the concept of long tail keywords, you will immediately recognize the great value inherent in these free WordPress sales pages. Create pages that are SEO optimized for long tail keywords with high commercial intent, complete with appropriate affiliate links, and you have created multiple sources of income that work for you 24/7. A sales page WordPress theme is exactly what it is, a cut down version of a WordPress theme which is pre-formatted with bullets, testimonial boxes, h1 and h2 headings as well as other nifty tools. A must addition to your Internet marketing arsenal!